Amid much speculation about what can be achieved at the second round of the Union Peace Conference, scheduled to start on May 24, even the ceasefire signatory groups seem baffled. The Restoration Council of Shan State announced that while it will attend the meeting, it will neither submit nor sign any binding proposals or agreements. “Since the second session of the 21st-Century Panglong Conference will mainly discuss papers submitted by the national-level political dialogues, they will [likely want to] sign the papers submitted to the conference as part of a Union agreement. But national-level political dialogues have not yet been held in Rakhine or Shan states. Since the desires and views of ethnic people who have not signed the NCA are not included yet, it’s impossible for us to sign,” Lieutenant Colonel Sai Nguen, secretary and spokesperson of the RCSS, told KIC News. He added that the Union government has not permitted the RCSS to hold a Shan ethnic-based dialogue despite a proposal to stage an event in the state capital, Taunggyi. The RCSS was advised to instead hold a dialogue in an area under its control, but due to difficulty identifying a venue, the event has been delayed. Among the eight ethnic armed organizations that have signed the nationwide ceasefire agreement (NCA), the three Karen armed groups led by the Karen National Union (KNU), the Chin National Front (CNF), the PaO National Liberation Organization (PNLO) and the All Burma Students’ Democratic Front (ABSDF) have held ethnic-based national-level political dialogues, while the Arakan Liberation Party (ALP) and the RCSS have not. The ALP’s vice chair Khaing Soe Naing Aung expressed confusion about the intent of the peace conference since not all the signatory groups have been able to stage the preparatory dialogues, and some of the non-signatories do not seem to have been invited. “What can we submit to the second session of the 21st-Century Union Peace Conference if we haven’t held a national-level political dialogue? There’s nothing to submit,” he said. He floated the idea that the ALP could skip the conference, but said it will attend out of respect to the other signatory groups and the ideas they plan to present. Members of the RCSS also aired concerns that the conference will not represent the full scope of public concerns and needs, as only some of the signatory groups can even submit papers. Twenty-seven representatives from the RCSS will nevertheless attend the Union Peace Conference, which will be held in Nay Pyi Daw from May 24-28. Around 900 representatives have been invited to the conference. 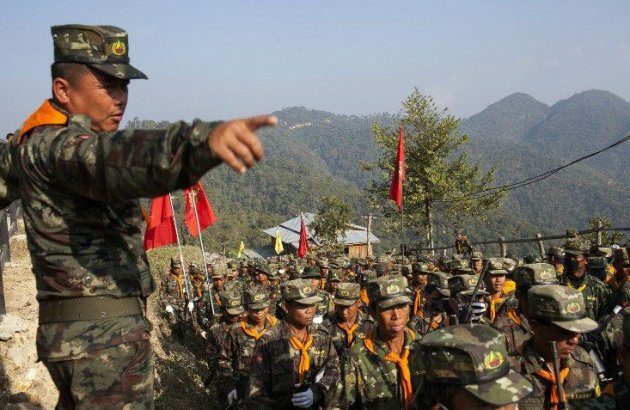 Although the government said non-NCA signatory groups will be extended invitations as special guests, a spokesperson from the Ta’ang National Liberation Army (TNLA) said that most of the Northern Alliance members, including itself, the Arakan Army, and the Myanmar National Democratic Alliance Army have not been invited. The United Nationalities Federal Council (UNFC), a coalition of ethnic armed groups, held an emergency meeting in Chiang Mai, Thailand to decide whether or not it will attend the conference.